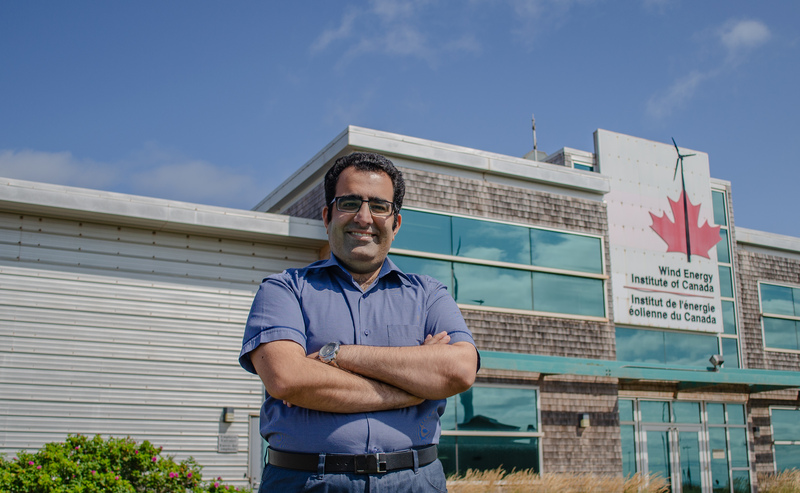 Majid joined the Wind Energy Institute of Canada (WEICan) in January 2018. He is involved in condition monitoring and performance analysis of wind turbines with a focus on fault detection and prognosis methods through vibration analysis of various components. Majid obtained his bachelor’s degree in Mechanical Engineering from K.N.T University of Technology, Tehran, Iran in 2008. He worked in petroleum industry before joining the Turbulence and Energy Laboratory at the University of Windsor, Ontario, Canada in 2015 to pursue his master’s degree in Mechanical Engineering. During his grad studies, he worked on developing reliable models for power curve monitoring of wind turbines that led to three publications. As renewable power demand continues to rapidly grow worldwide, Majid is excited to play a role in advancing wind energy in Canada.